U.S. public schools are no longer about teaching students facts, information, and how to read and write. It’s all about “changing the world” in accordance with what the Left call “social justice” — code words for Marxism. In an exclusive for the Gateway Pundit, Brock Simmons reports, Aug. 29, 2018, that 3,500 public school teachers in Portland, Oregon, are given an $18 teaching guide meant for children as young as 5 years old. 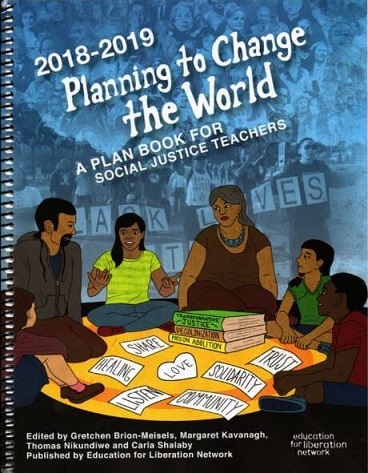 The guide, Planning to Change The World – A Plan Book For Social Justice Teachers, is produced by the Education for Liberation Network, published in partnership with Rethinking Schools, and is suffused with Marxist propaganda. Planning to Change the World is a plan book for teachers who believe their students can and do create meaningful social change…. This plan book is designed to help teachers translate their visions of a just education into concrete classroom activities. It is both a daily reminder of the importance of teaching for justice and a collection of tools to help you do just that. 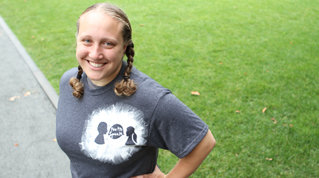 Planning to Change the World is packed with important social justice birthdays and historical events, words of wisdom from visionary leaders, lesson plans, resources, social justice education happenings and much more. And what is the teaching guide’s conception of the “social justice” that students are encouraged to “change the world” into? It is a vision that celebrates Islam (while downplaying Christianity), communists and domestic terrorists; promotes gun-control and “transgenders”; celebrates abortion; and trashes America’s July 4 and Thanksgiving holidays. The Muslim holidays of Eid al-Adha on August 20 and Muharram on September 11. While the teaching guide’s calendar does acknowledge Christmas Day, the word “Christmas” is in a thinner type font, whereas the wholly concocted “African American” holiday of Kwanzaa and the Mexican Cinco de Mayo on May 5 get bold type fonts. Celebrates the anniversary of the founding of Communist North Korea on September 9, and the anniversary on December 4 of the El Congreso del Pueblos de Habla Espanola, an organization linked to communist sympathizers; and the birthday of Marxist intellectual Noam Chomsky on December 7. No mention is made of Imperial Japan’s attack on Pearl Harbor on December 7. Celebrates the birthday of Fred Hampton, the founder of domestic terrorists Black Panthers, including a quote from him on the need for Black racial solidarity. Assata Shakur, a violent Black Panther activist who escaped from prison and fled to Cuba in the 1970’s after murdering a police officer in New Jersey. She is one of the FBI’s most wanted, with a $2 million reward for her capture. Includes a special feature on “15 Everyday Ways to Affirm Trans and Gender Nonconforming (TGNC) Students” to help teachers to stop use terms such as “boys and girls”, “men and women” and “ladies and gentlemen” because they are offensive and oppressive to “those who are neither, both or bits of each”. You can reach Portland Public Schools superintendent Guadalupe Guerrero at (503) 916-3200. This entry was posted in Children, Christians/Christianity, Culture War, Education, gun control, Islam, LGBT, Liberals/Democrats/Left, professors and intellectuals, Race, social justice warriors/SJW, transgender, United States, War on White People and tagged Angela Davis, Assata Shakur, Black Panthers, Che Guevara, Education for Liberation Network, Planning to Change The World – A Plan Book For Social Justice Teachers, Portland public schools teaching guide, Rethinking Schools. Bookmark the permalink. This is absurd! Totally what the Satanic influence wants in these end times. The trouble is that people are believing these lies! AND leave the social issues to the home and those really responsible for the up-bringing of the students. Karl Marx and Communism is alive and well in Portland. This is why home schooling is superior. Snowflakeology has replaced reading, writing, and arithmetic. SOVIET and Islamic Studies have replaced History. Look at that cover then look at the authors. What happened to separation of church and state in regards to teaching Islam?! This is a rabbit hole. Any former / current teachers want to go and do a little research? THIS IS CLEARLY TEAXHING SEDITION. ALL DEDERAL EDUCATION FUNDS MIST BE WITHDRAWN FROM SUCH DISTRICTS. “Published by Education for Liberation Network”? Who approves these syllabi? Are they just allowed to visit the local “Hall of Labor” and pick up literature for inclusion? Other than Obongo, who said we wanted to fundamentally change our whole way of life? I never said that. Where does one acquire a mandate to brainwash our children? Again, these communist social engineers rely on our being observers of our lives, not participants. Stuff like this calls for torches and pitchforks. Just another example of why we are in end times. We are in the “short breath” days granted by God which most likely started with the last election. How long it lasts is up to how people vote this time. There is a desperation on the other side to move down the road to hell faster than ever. All this garbage will only stop when the world is ruled by The King of Kings, Jesus himself. 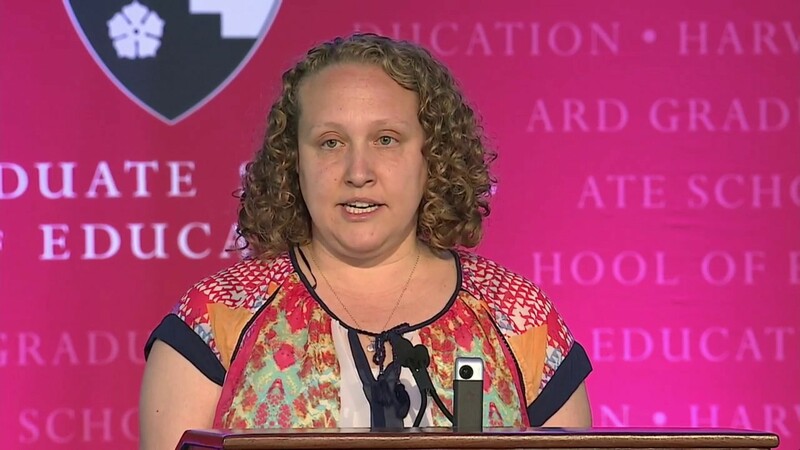 WHY are parents continuing to send their children to these state run indoctrination centers? I understand the need for both parents to work today in order to make ends meet, but how about getting concerned, independent, freedom loving citizens together, and forming our own private, community based schools? Why are parents trusting the government to teach their children anything? Have any parents confronted the school board and superintendent over this? I find it hard to believe there isn’t a parent majority who are against this indoctrination. My question is, just who is it that decides, from this day forward, this will be the new reality? On who’s authority is this done? What if I don’t agree with this and I don’t want my kid exposed to it? Do I get a refund on my taxes? Portland, Oregon or Portland, Maine? Morons contribute to their own destruction and to ours.